This San Diego restaurant and bar with liquor, live music and entertainment offers a beautifully built out facility in one of San Diego s most coveted, beachside communities. The full-service restaurant includes a multi-station wrap-around bar, patio, stage for music and entertainment, separate bar and dining rooms, and full kitchen with walk-in coolers and multiple hoods. The business has been operating as a traditional American style bar and grill with a sports bar theme, but could be converted to a number of other concepts. It is ideally located in an area that can capture summer tourists and local residents. 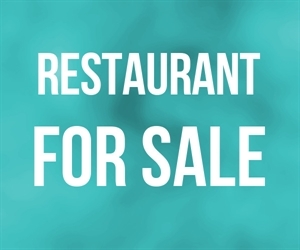 Location and Facilities: This 7,000 square foot restaurant and bar will be offered a new lease at a monthly rate of $22,000 with a ten year term and two 5 year options. The sale includes all of the furniture, fixtures and equipment of the business plus a Type 47 Liquor License and associated goodwill and entertainment entitlements. Inventory will be sold at cost at close in addition to the purchase price. Market Information and Position: This versatile venue offers great potential for a new owner looking to continue the existing concept or implement a new one. New owners may continue to develop its relationship with the local community with promotional offerings, as well as secure their position as the dominant restaurant with the local residential community. Competition is medium as other restaurants and bars exist, however the area has a limited restaurant supply making this a rare opportunity to hit the market.